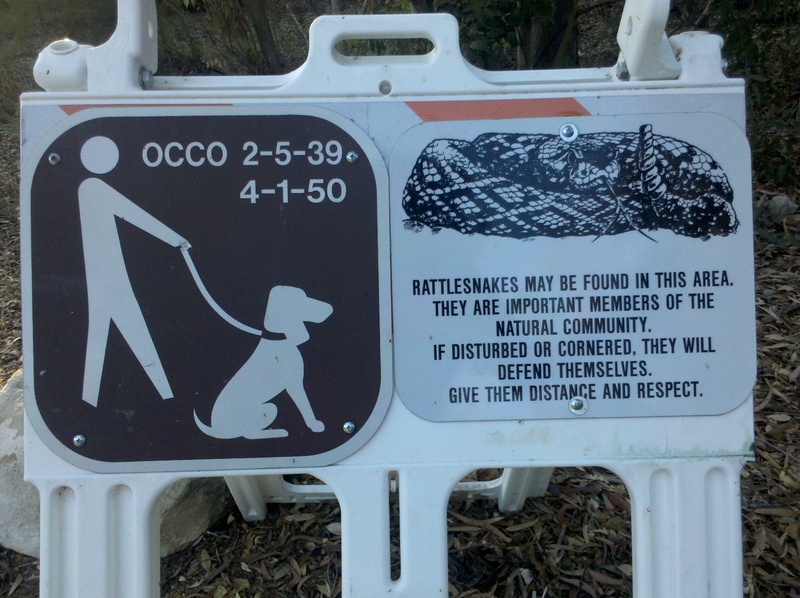 It’s a smart warning sign, but seeing these images every quarter mile or so with the leashed dog next to the picture of the snake made me a bit jumpy. The biggest rattlesnake I didn’t see was about 4-ft long. This information according to a couple fellas I met while hiking the trails at Laguna Niguel Regional Park. I watched carefully every day. The dog I was caring for had been bitten earlier in the year, and his owners warned me to keep a close eye on the trails. 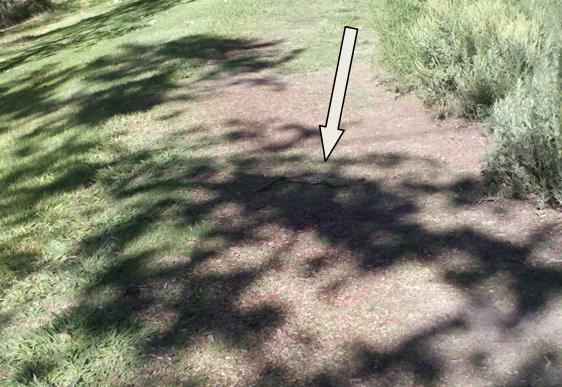 Shortly after I arrived to house and dog-sit, the park put up signs everywhere about the rattlesnakes in the area. I had never been very worried about snakes before. I like snakes, in fact. But the sudden introduction of signs at every fork had me looking for signs of my own. In fact, I began seeing “snakes” and “snake-sign” everywhere. In the mornings after the ground was wet from mist or the sprinklers, I swore the twisting tracks in the caked mud were snakes, not snaking water heading downhill. 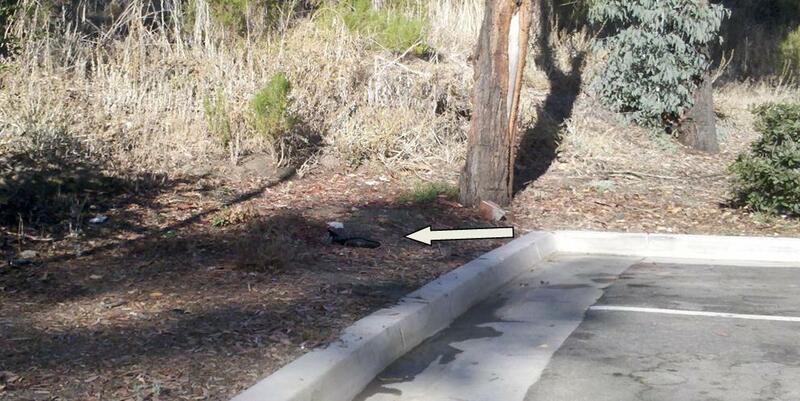 Once when I pulled up to the park I thought I saw a snaked curled up near the parking lot. 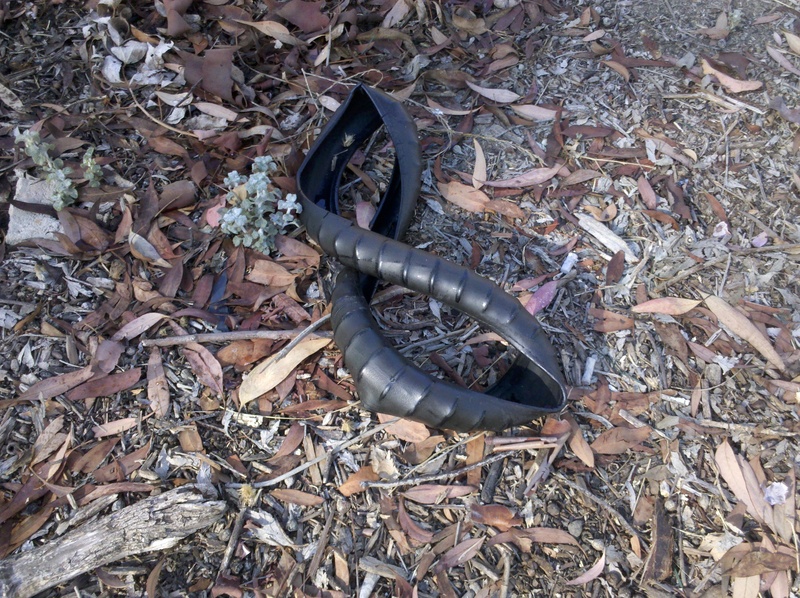 It was a bike tire. Sticks, particularly crooked ones, made me stop dead in my tracks, hauling in the dog on his extendable leash until I could listen and get a closer look. Sunlight and shadows played tricks on my mind. And it wasn’t without good reason to worry. 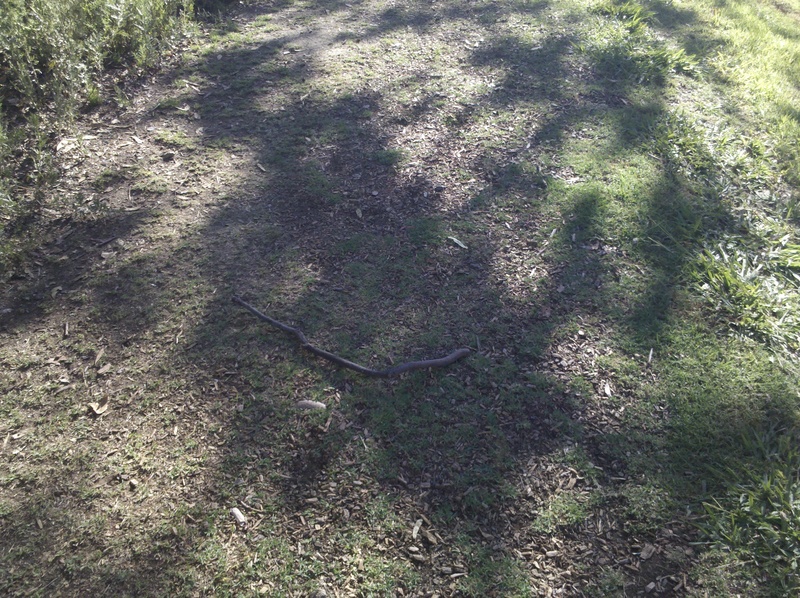 Rattlers were seen crossing this path and I wasn’t taking any chances. 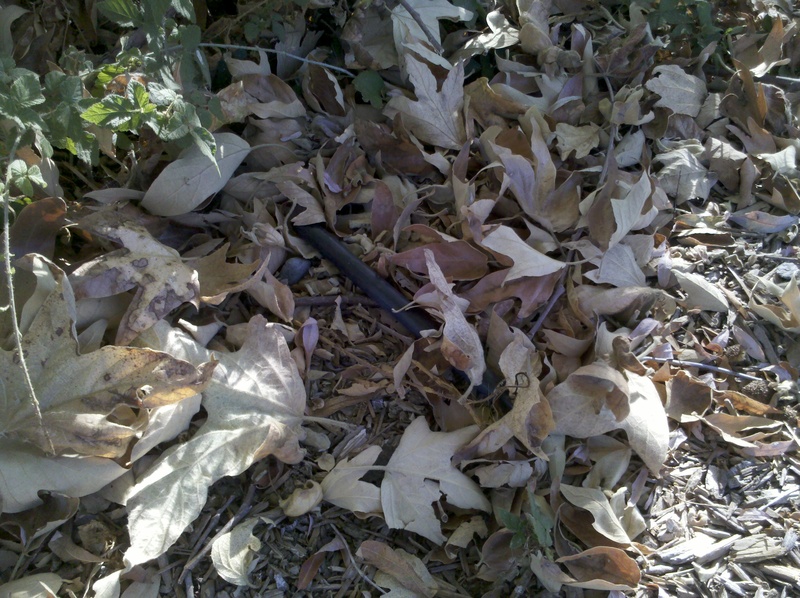 A black hose just peeking from leaves caused me to jump backward. I think I nearly gave the poor dog a heart attack on that one. This one made me jump. 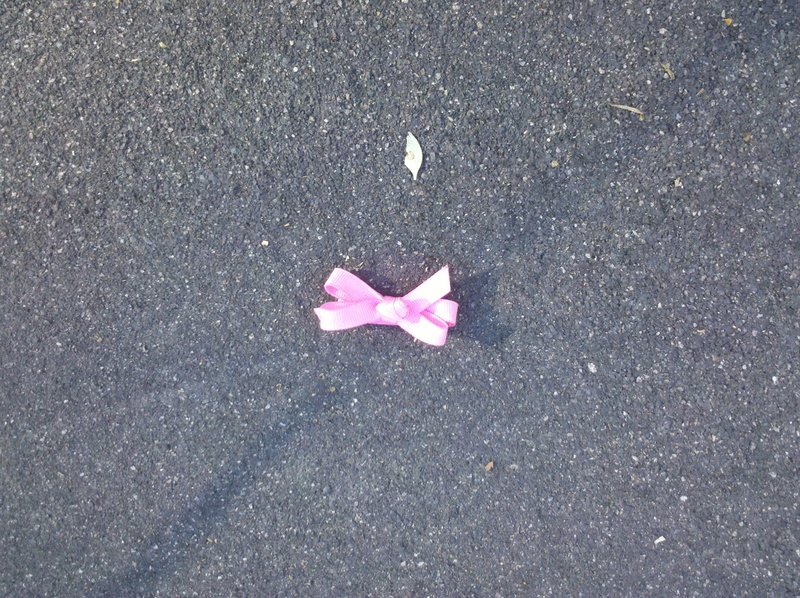 Even when there was no chance a pink bow was a rattlesnake, I wouldn’t have probably noticed it if not for the fearfulness that made me more observant. 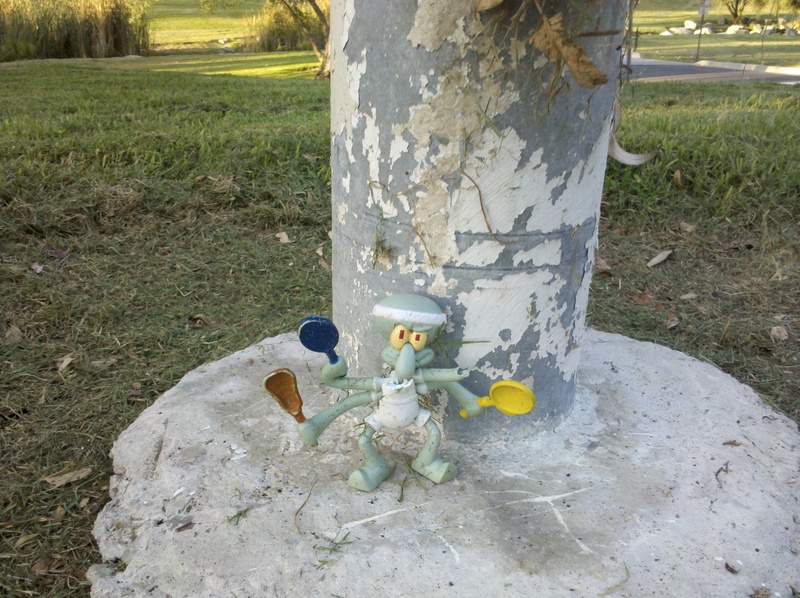 Likewise, I did not confuse a decapitated Squidwarddoll for a rattlesnake, but being on edge made it startle me nonetheless. I think putting him back together was some kind of rattlesnake-warding voodoo, or therapy for the overactivity of my fears. 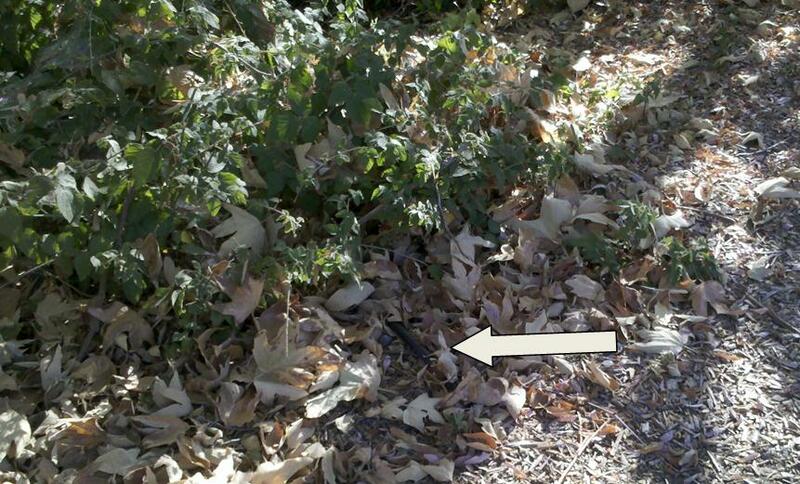 In any case I stayed cautious, but stopped being so rattled by the sounds and sights of everything but a rattler. I found a (non-poisonous) snake under the trash can the other week. Thankfully, (1) it was tiny and (2) I thought it was dead. It didn’t move when I tossed a rock at it. When Bob went to move it, it slithered away on it’s own. It’s funny, but I actually like snakes. I don’t know why or how that came about, because my mom was terrified of them. Somehow she hid that, though. I remember picking up a garter snake when I was four or five and bringing it to show her in the garden.